Most people like self driving in the UK when travelling or visiting different cities especially if they are coming from abroad. 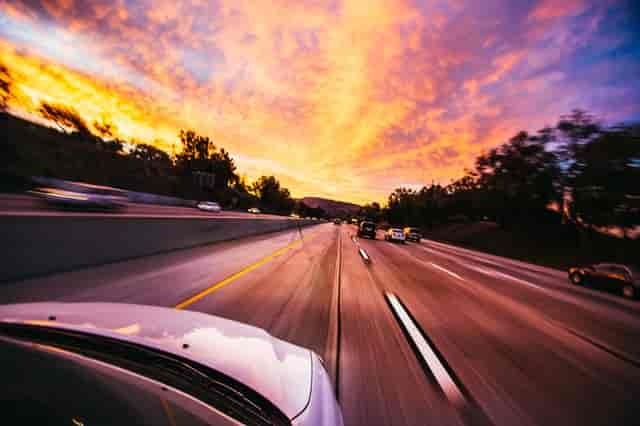 In this post, our driving instructors Luton will share their driving knowledge, skills and understandings from their years of driving experience. They will explain the applicable driving laws in the United Kingdom. Also General rules and useful tips that you need to know for driving in the UK. So let’s start our driving experience in the United Kingdom. The minimum age you can drive and apply for practical driving test is 17 years in the UK. You can apply for provisional driving licence when you are 15 year and 9 months. You should tell DVLA – Driver and Vehicle Licensing Agency if you have any eye sight problem. If you are looking to hire a car, many car rental companies will let you hire car if yor are over 21. If you are less than 21 years old than you may want to consider public transport. Road rules explained by our best Driving Instructors Northampton when driving in the UK. You must be insured on the car. Car must be taxed and have valid MOT. Valid local or international driving licence is necessary. Speed meter or dashboard display will be in miles per hour. Cars are normally right hand drive and you drive on the left side of the road. You must wear a selt belt and make sure everyone in the car are wearing seat belt too. Must drive within the speed limit. National speed limit on the single carriageway is 60mph. Dual carriageway and motorway is 70mph unless otherwise indicated. Must obey and follow all road signs and road markings includes temporary road signs and markings. Don’t text or call while driving it’s illegal. Follow any directions given by police or enforcement officers. Don’t drive on main beam at night unless necessary. You must not drive if you are drunk or under the influence of drug. Long distances are normally measured in miles and short distances for example distance to the give way is in yards and petrol or diesel is in litres if you need to fill up fuel tank. We spoke to few driving schools Northampton who explained different type of roads in the UK in a simple and precise way. Roads in the United Kingdom are normally represented by letters and numbers which identify and classify the type of the road. For example M6 where letter “M” means “Motorway” and “6” means the number. Motorway signs will be in a blue blackground which are commonly used for long distances and regional destinations along with primary destinations. National speed limit applies on the motorways which is 70mph unless otherwise indicated. They normally have 3 or 4 lanes each way with a central reservation. You can only drive in one direction. Normal driving position is a left hand lane unless you need to overtake some slow moving vehicle in the left lane. If you overtake don’t forget to come back in the left lane when it is safe to do so. Lanes are wider with no traffic lights. Pedestrians, cyclists, slow moving vehicles, horse riders, agricultural vehicles and bikes under 50cc are not allowed on the motorways. Car learner drivers are allowed on the motorways as per new highway code rules 253-273 if they are accompanied by DVSA approved driving instructors with a car fitted with dual controls and red L plates displaying on the car. There are no right turnings. Exits are on the left side usually with a slip road so you can slow down and adjust speed of the car. If you are not confident enough on the motorways, you can search for driving schools Wellingborough to take some motorway driving lessons. “A” roads are the main roads which can be signal or dual carriageway. Road signs on “A” roads are normally in green background with white or yellow text which are normally used for primary destinations for example cities and towns. Usually national speed applies to these roads which is 60mph on a singal carriageway and 70mph on a dual carriageway unless otherwise indicated. There can be traffic lights, right turnings, roundabouts, learner riders and slowing moving vehicles on these type of roads. “B” roads are smaller roads normally connects traffic to “A” roads and different areas. There can be a fair amount of traffic on these type of roads and tend not to be as long as “A” roads. These type of roads usually connects unclassified roads to “A” and “B” roads and sometimes link villages and housing estates to the rest of the roads. These type of roads have lower significance but still perform more important function than unclassified roads. These roads are usually for local traffic and majority of the roads in the United Kingdom comes under this category. They give you order, warning and information. All road users must obey and follow all road signs posted and road markings. Road signs in red circle are orders. Warning signs will be triangular and most rectangle signs provide you information for example information to attractions and tourist places. It depends on the road type you are driving on. Usually speed limit on the roads with street lights is 30mph unless otherwise indicated. Speed limit signs will be in red circle. Speed limit posted is absolute maximum and you must not drive over the speed limit. Also remember speed limit is not the target, you should drive at an appropriate speed for the road type and traffic conditions. Road sign with a black diagonal line in white background means national speed limit applies which is 60mph on signal carriageway and 70mph for dual carriageway for cars. You must check the speed limit if you are driving different type of vehicle as speed limit is different for LGV and HGV. Seat belt is a legal requirement when driving in the UK. All passengers in the car must wear a selt belt. Driving Instructors Kettering also told that driver will be responsible for himself and any passenger under the age of 14 years in the car. It’s still driver’s responsibility to encourage other passengers in the car to wear a seat belt. You should also use appropriate child seat for children under the age of 12 years or 135 centimetres tall whichever comes first. You can driver without seat belt if your doctor say you don’t need to wear seat belt for medical reasons. In that case you must get “Certificate of Exemption from Compulsory Seat Belt Wearing” and keep it in the car so you can show it if you are stopped by the police. Like most countries in the world, there is a traffic light system in the UK. Light colors can be red, amber(yellow) or green. Traffic light sequence is red, red and amber together, green, amber and red. Red means you must stop your car before the stop line at the traffic light. Red and Amber (yellow) still stop and wait until light change to green. We spoke to one of the instructor who provide driving lessons Oxford said you may go if you already cross the white solid line or too close to the white solid line that if you brake could cause an accident. Green light means go if it is safe. Driving Instructors Slough have told us five main type of pedestrian crossings in the UK. Zebra crossing which is uncontrolled where you have to decide whether to go or wait. Pelican, Puffin, toucan or equestrian crossings are controlled by traffic lights. Apart from pelican, traffic light sequence on these crossings is same as normal traffic lights which I have explained under traffic lights heading. At pelican crossing instead of red and amber phase together you get flashing amber light which means you must give way to any pedestrian already on the crossing. You may proceed with caution if crossing is cleared. In some rural areas you may also see equestrian crossing which is for the horse riders. You normally get give way or stop sign and road marking on approach to T-junctions. Give way and double broken line road marking means you must give to any vehicles on the main road. Stop sign and white solid road marking means you must physically stop your vehicle before the white solid line. You normally get this sign at closed junctions means when your view is restricted along the main road by fences, hedges, building lines or parked cars. Roundabouts are common in the United Kingdom. Purpose of roundabout is keep free flow of traffic. You must give way to any traffic approaching from your right unless otherwise indicated when driving in the UK. You always turn left onto a roundabout and drive clockwise direction. Some roundabouts can be controlled by traffic lights normally you get them on more busier roundabouts. If it’s controlled by traffic lights than you don’t need to give way to the traffic approaching from your right. You just follow the lights as you do on normal traffic lights. You must choose an appropriate lane on approach to roundabout to avoid any dangerous situation. If you are going left or straight at the roundabout, generally rule is keep in the left lane and position in the right lane if you are turning right or going round at the roundabout unless road signs or markings tells you different. Milton Keynes is one of the city with most roundabouts. You can easily find some good driving schools Milton Keynes who can help you with roundabouts if you are not confident with them. You should listen and look for emergency vehicles when driving in the UK. There normally have flashing blue, red or green lights and sirens or flashing headlights. Try not to panic and take into account the route of any emergency vehicle and slow down and pull to the side if necessary while obeying all traffic signs. Remember not to put yourself or other road users in danger. Also avoid to stop on bends, brow of hills and at narrow section of the road. You can overtake slow moving vehicles only if it is necessary, safe and legal to do. If you are taking exit soon or the vehicle in front turning than it’s not good idea to overtake the vehicle in front. Also remember not to overtake on the left side. You may overtake on the inside if the vehicle in the right lane is waiting to turning right or there is a queue and the traffic in the right lane is moving slow than traffic in the left lane. You can take some refresher driving lessons Wellingborough if you are not confident enough with overtaking. The rules for renting a car vary from company to company. You will need a full driving licence to rent a car. If you are travelling from abroad and if you don’t have UK licence then you may also need international driving permit. If you rent a car then make sure you put the right fuel in the car. Normally fuel information is displayed where the fuel cap is. If you put wrong fuel can cause damage to engine. As per driving Sat Navs are very useful and helps you to get to different places quicker and saves you time. You don’t need to worry about the route. They keep you update on live traffic. You can find destinations by entering cities, places and postcodes in the sat nav. It’s always good idea to keep sat nav in the car. You can also use sat nav on your mobile if you have one. You should use sat nav as a reference and don’t rely on it. Always respond what can see on the road ahead as some information might not be updated on the sat nav. Get in touch with driving instructors Rugby if you need to know what sat nav DVSA use for practical driving test in the UK. Laws are strict about drink or drug driving and is a serious driving offence in the UK. You must not drive if you are drunk or beyond the legal limit. Also you must not drive under the influence of drug. You will get penalty fine and your licence will be revoked if you get caught. You may also face ban from driving depends on the conviction. It is illegal to drive a car without valid insurance in the UK. You must have atleast third party insurance on your car which covers the cost of other party in case of fault accident. Hired cars are normally fully insured and covers you and third party cost in case of an accident. It’s illegal to text or call while driving. Drivers must not use your mobile phone when driving. You can get £200 fine and 6 penalty points on your driving licence if you get caught by the police. You can use phone while driving if you have life threatening emergency. Also it’s not advisable to use hands free or Bluetooth but they are not illegal if you use them. There is wide use of speed cameras all across the UK to control speeding and reduce road accidents. There may also be smart speeding cameras at some places. They automatically catch the speeding drivers and send fines through the post if you get caught speeding. You may get points on your driving licence or may be asked to attend speed awareness course. There are also number of average speed cameras on M1. Speak to our driving instructors in St Albans for more information on how the average speed cameras work. There is a “Congestion Charge Zone” in central London. These are the parts of London city where congestion fee applies If you wish to drive to these parts of the London. Don’t forget to pay for congestion charges as you may have to pay extra charges if you don’t pay within a certain time. There are different types of parking available in the UK which includes free parking, multi-storey parking and pay & display or paid parking, said driving instructors Bedford . Some areas or parking bays are designated only for permit holders or disabled badge holders. You must read any parking notice posted. Usually you have to pay first and display ticket clearly at pay & display parking. Some metered paid parking allow you to pay at the end before you leave. You should park your car within the parking bay as if it’s not in the bay lines still you may get fine even if you have paid for your parking. See parking restrictions if it’s a singal yellow line. Parking is not allowed double yellow line at all times. It’s hard to cover everything in one post but I hope you have found this article informative. You are welcome to contact our driving schools Kettering if you need more help or advice with driving in the UK. Find us on Facebook , Twitter , Linkedin , Pinterest , Google+ , Instagram for driving news and updates.